As I was cooking last week, I caught the tail end of the show, The Project. I have to say that one of their last stories drove home some simple truths about women in the work force. I found myself shouting, “YES!” in the kitchen…on my own, haha! Because what they discussed so simply; so succinctly; is an issue that – I believe – hits the core of how we can possibly make change. The story discussed the microscopic representation of women in clout positions ‘at the top’ and the glass ceiling women hit – something I’ve been discussing for a while. In a nut shell – we barely a voice in the running of this world. In Australia, the percentage of women at the top (Female Chairs and CEOs of ASX 200 companies)… 2.75% less than three percent! Australia is equal 1st, in the world, with women’s education AND we’re better educated than men – 87/100 women enrolled in tertiary education compared to 67/100 men. Irony number one. Advertising man, Todd Sampson, who was on the panel, said that women represent 5% of top advertising positions, although women constitute 80% of buying power. Massively HUGE bit of irony there. They said that in Norway (if my hearing over the extractor fan was good), they put a quota on getting women in the boardroom (currently at 11% in Australia) – up to 40% – by law. Many countries have listened and are already following suit. Here in Australia there’s discussion about putting in a temporary quota system, aiming at 40%, to inject women into more clout positions. Question #50: Do you think a quota is the way to go? If not, how? 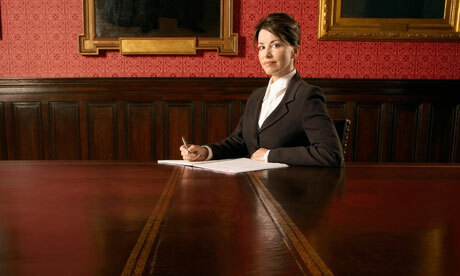 Britain’s economic recovery is being held back by a lack of women in the boardroom, David Cameron has warned. The prime minister said there was clear evidence that ending Britain’s male-dominated business culture would improve performance.